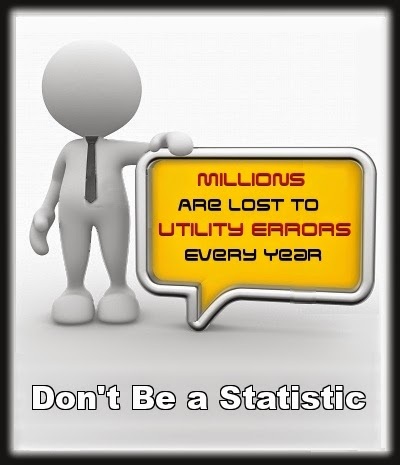 DID YOU KNOW that utility companies often have more than one rate for commercial/business clients? GUESS WHAT. They don’t hand out the best rates automatically. Customers must seek better rates for themselves. The process of finding the best and most appropriate rate can be tedious – and frankly – as a business owner, you’re already busy running your own business. This is where Applied Utility Auditors can help. We find overcharges for 80% of all clients. You might be reading this because your business was referred to AUA or because we’ve contacted you about conducting a utility audit and you have questions. We’re fortunate that the majority of our customers come from happy client referrals. First, when you’re with Applied Utility Auditors, you’re in good hands. • Everyone’s favorite part: You score a REFUND! How Does Utility Bill Auditing work? 1. The refund will either be a check or a credit on future bills. 2. Issue a check to AUA for 50% percent of the refund received. 3. Enjoy your savings! Remember, this is money you have already spent. The AUA Team looks forward to working with you and adding to your bottom line.